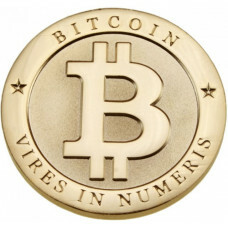 Real high quality actual physical Bitcoin made of solid brass with 18k gold plating. 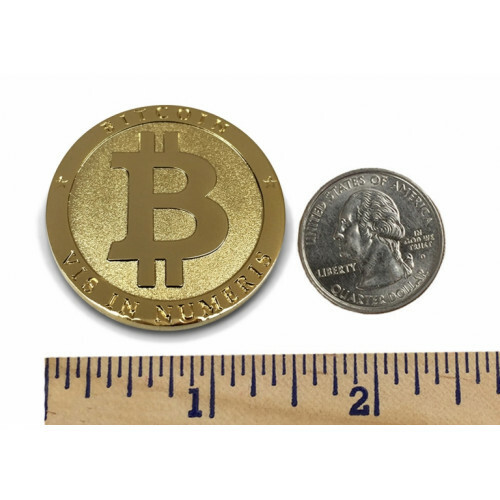 Well crafted tangible coin that shines like pure gold: Diameter= 1.5"" | 3 mm Thick | Weight= 1 oz. Beautiful souvenir or novelty piece. Perfect challenge coin, conversation starter or geocaching item. Must have memorabilia piece for every Bitcoin enthusiast. 100% Satisfaction Money Back Guarantee. CUSTOMERS SAY: "The Perfect Gift" "The pictures don't do this coin justice" "Best designed Bitcoin". 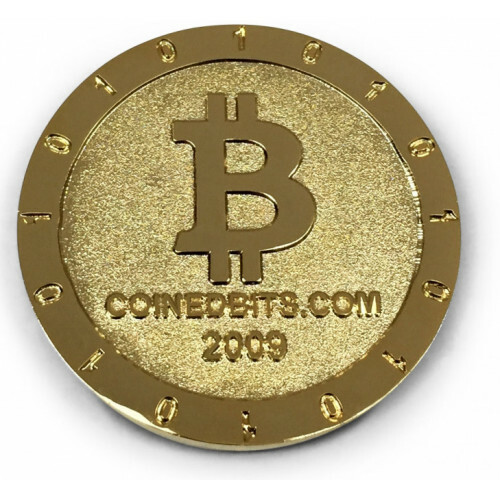 This 2009 CoinedBits Bitcoin is the first physical Bitcoin Coin ever minted. Each coin is "stamped" from solid brass, then an 18k gold plating is applied. Each measures 1.5" in diameter, is 3 mm thick, and weighs a full 1 oz. They are well crafted and shine like pure gold. They have no real Bitcoin value. They are a novelty or souvenir coin. 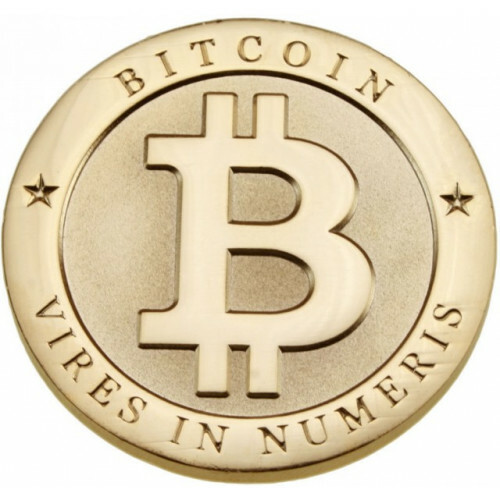 Grab your Original Bitcoin today and carry a tangible piece of the world's fastest growing, alternative currency. Just like the revolutionary digital currency, these Bitcoin Collectibles cannot be price fixed or inflated by the government. Their value is set purely by supply and demand. And that is why we want to thank you and all our fellow loyal raving Bitcoin fans for buying this limited edition coin and sharing them with family and friends. You are helping us spread the Bitcoin Revolution.